New album Lurrigate Your Mind out on May 24th 2019! New single ‘ Living In A Dream World’ out NOW! 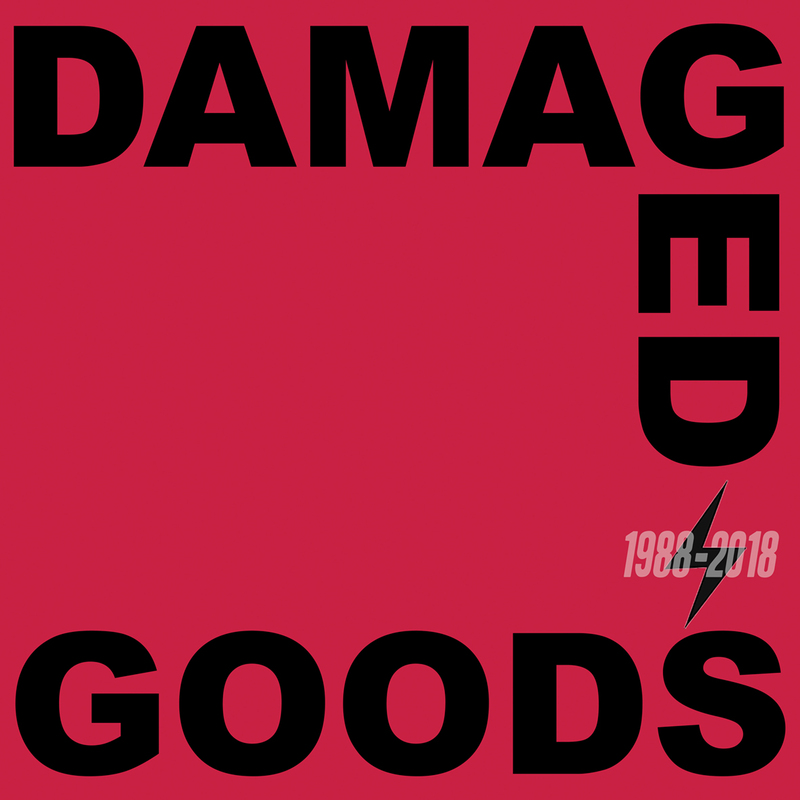 Few bands on the Damaged Goods roster are loved as much as Johnny Moped. 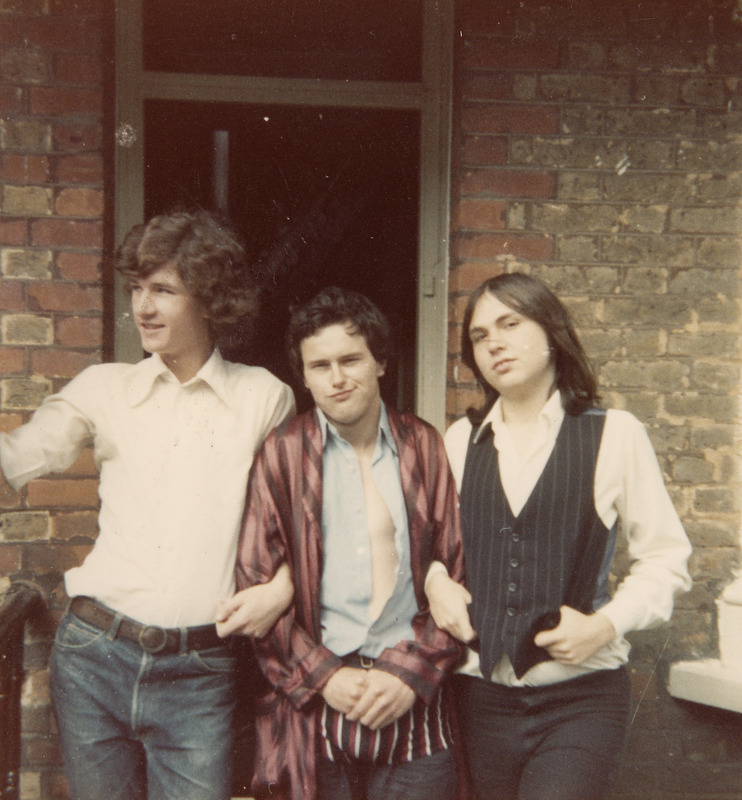 One of the original ’77 punk bands they were at the heart of the London punk scene, regulars at the Roxy Club, and highly regarded by both fans and their peers. 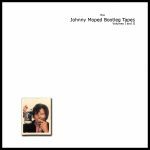 Our involvement with the band started in 2006 when we released the Johnny Moped Bootleg Tapes Vol 1&2, a compilation of rarities. Since then the revitalised band released a brand new studio album in 2016 called It’s A Real Cool Baby, closely followed by a reissue of their 1978 classic Cycledelic. 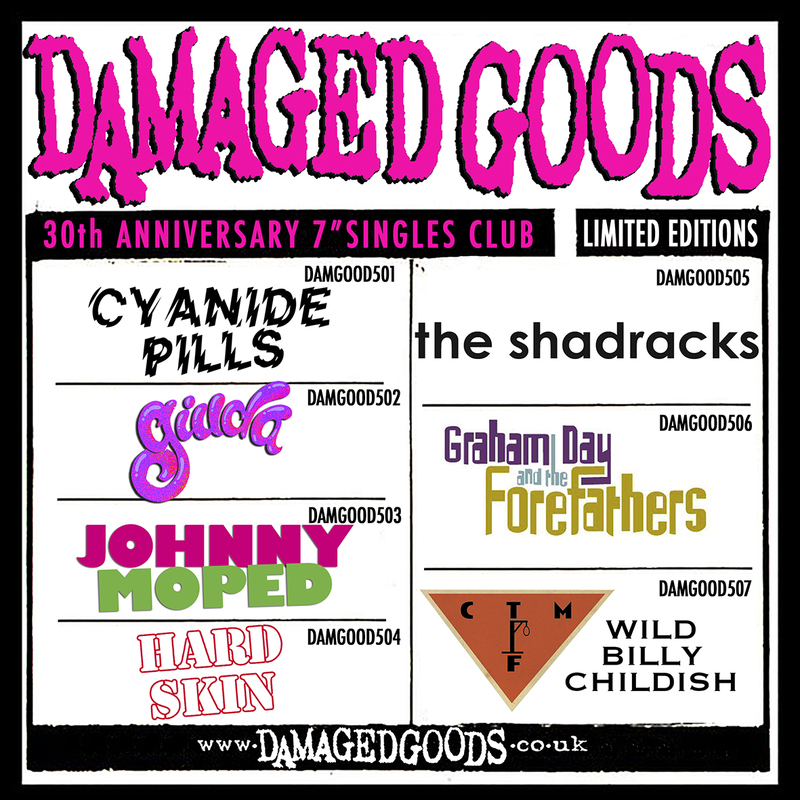 Tours around Europe followed, as did a string of dates in the UK supporting longtime associates The Damned. The band have also had successful appearances at Rebellion Punk Festival in Blackpool and recorded sessions for Marc Riley’s BBC 6Music show. The band consists of remaining original members, Johnny Moped and Slimy Toad, joined by Rock ‘n’ Roll Robot (Rob from CASE) on guitar, Jacko Pistorious on bass, and new drummer Marty Love (on board after the recent departure of Dave Berk). 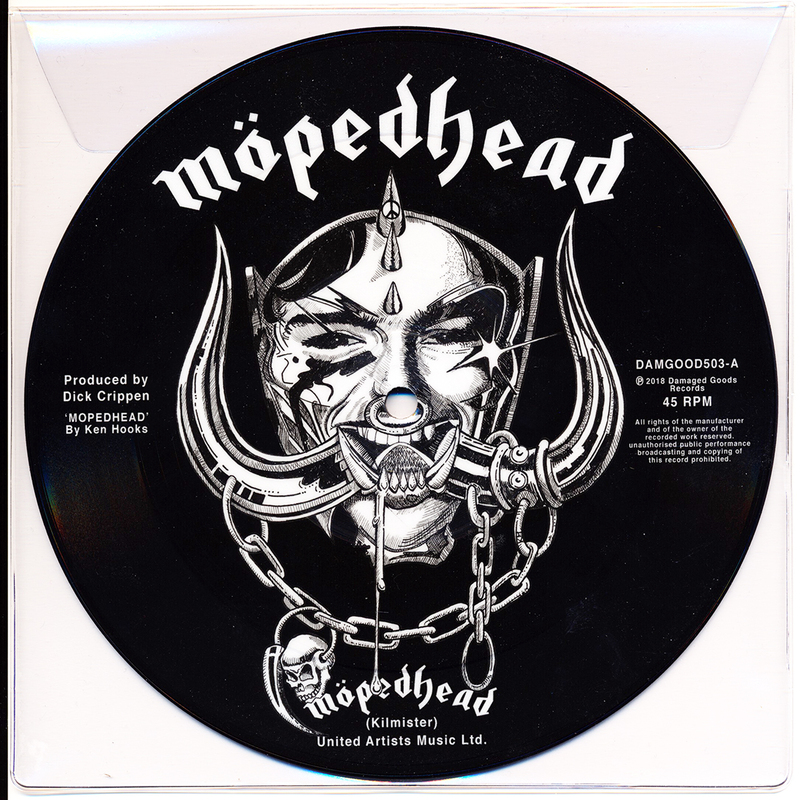 In 2018 the band were one of the seven acts featured in our 30th Anniversary Singles Club with their version of Motorhead’s ‘Motorhead’ single. Released on a very lovely pic disc! They also played the DG 30th Anniversary show at London’s Koko in September 2018. 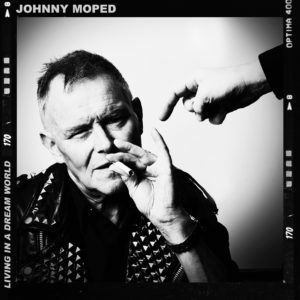 The band released a new 7″ single, ‘Living In a Dream World’ on a choice of three different colours in April 2019. The single is taken from their third new studio album, Lurrigate Your Mind, which follows on May 24th. 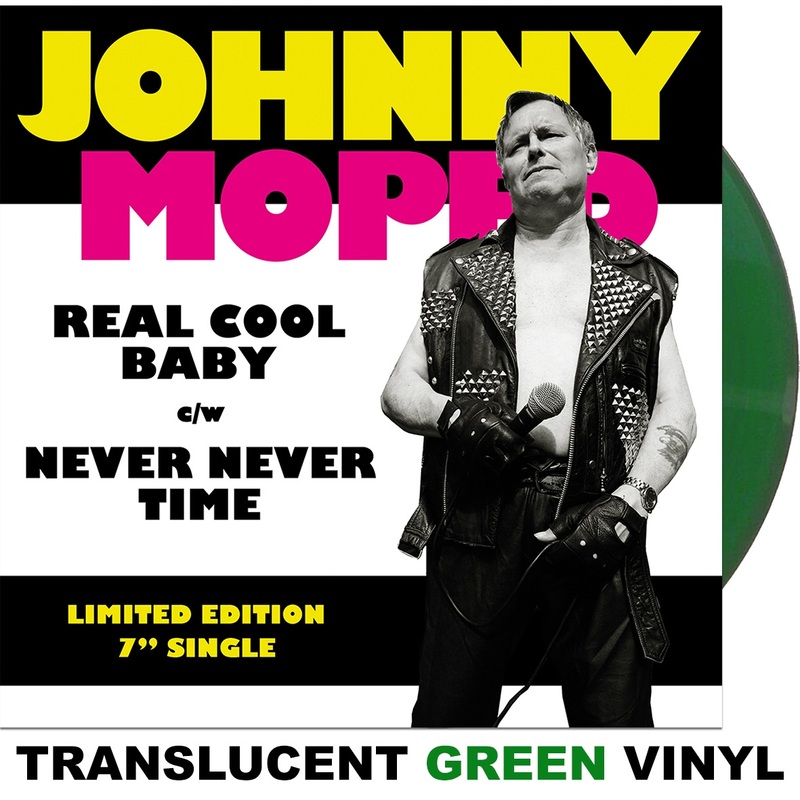 Johnny Moped were originally called Genetic Breakdown, came from darkest Croydon, and consisted of Johnny Moped (aka Paul Halford), Xerxes, Fred Berk, Dave Berk, Ray Burns (aka Captain Sensible) and Phil Burns. They jammed all day recording as they went and never played the same song the same way twice. 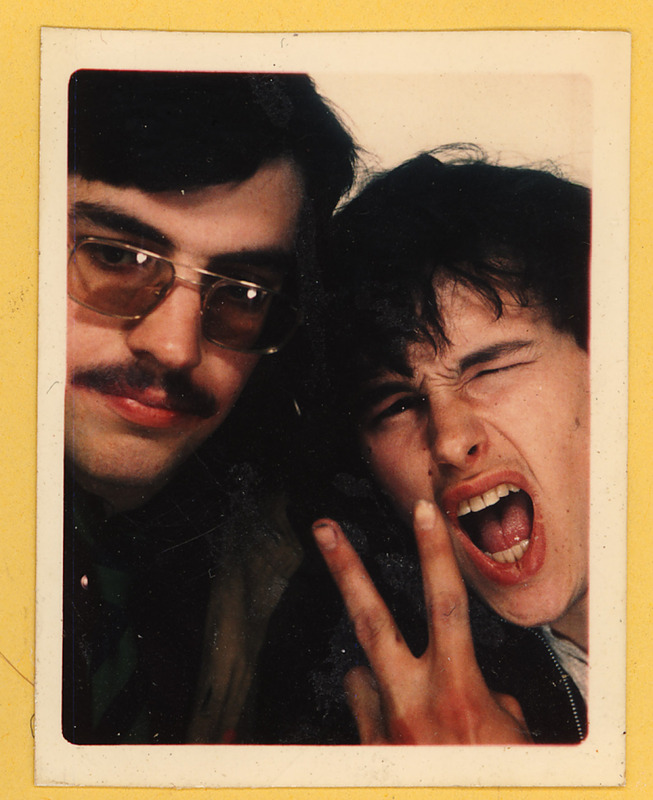 Consequently, Johnny and Xerxes became skilled improvisers. Desperate to start gigging they eventually played in Dave’s back garden paying a few local kids to act as the audience! 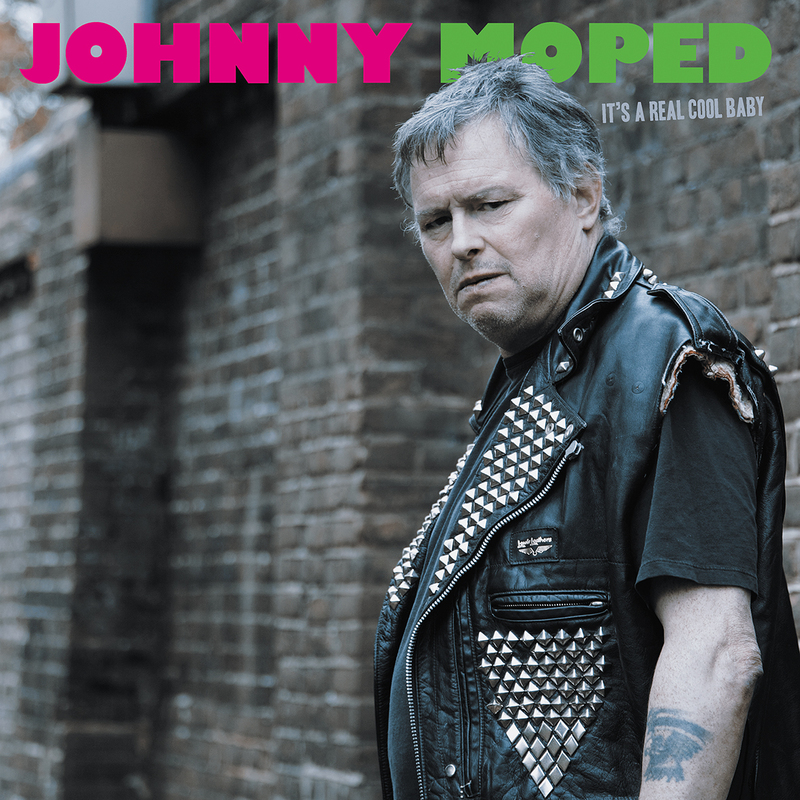 The major problem for Johnny Moped was their singer. Johnny lived with his girlfriend, Brenda, and her mother, who hated the group and was often reluctant to let Johnny out of the house. The group had to resort to guerrilla tactics, kidnapping the shaded man-in-black as he left work and bundling him into the boot of a car. This worked fine for tours of Croydon’s gardens but hampered further ambitions somewhat. 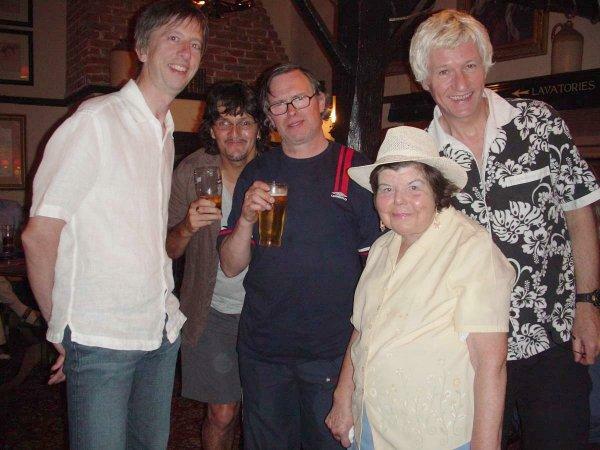 Ray Burns became Captain Sensible, cut his hair and joined The Damned. 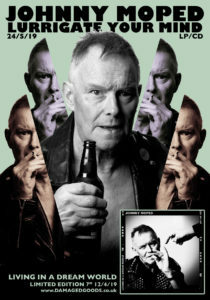 Johnny Moped’s first few gigs were as support to The Damned, with Captain playing two sets a night. Soon Johnny Moped needed a proper guitar player of their own. 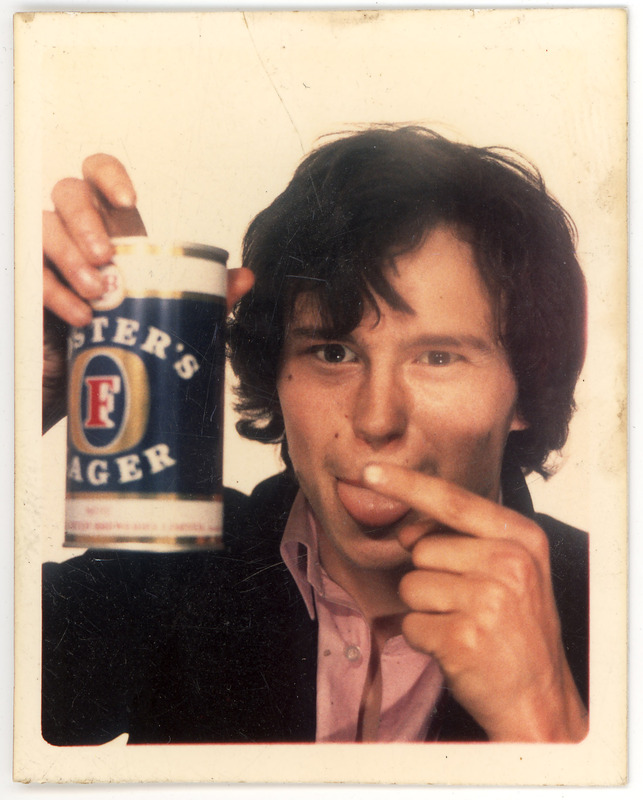 An ad was placed and two applicants came forward – Slimey Toad and Chrissie Hynde (later of The Pretenders). After only a handful of gigs at The Roxy, Chrissie was ejected on Slimy’s orders because the line-up didn’t quite gel. 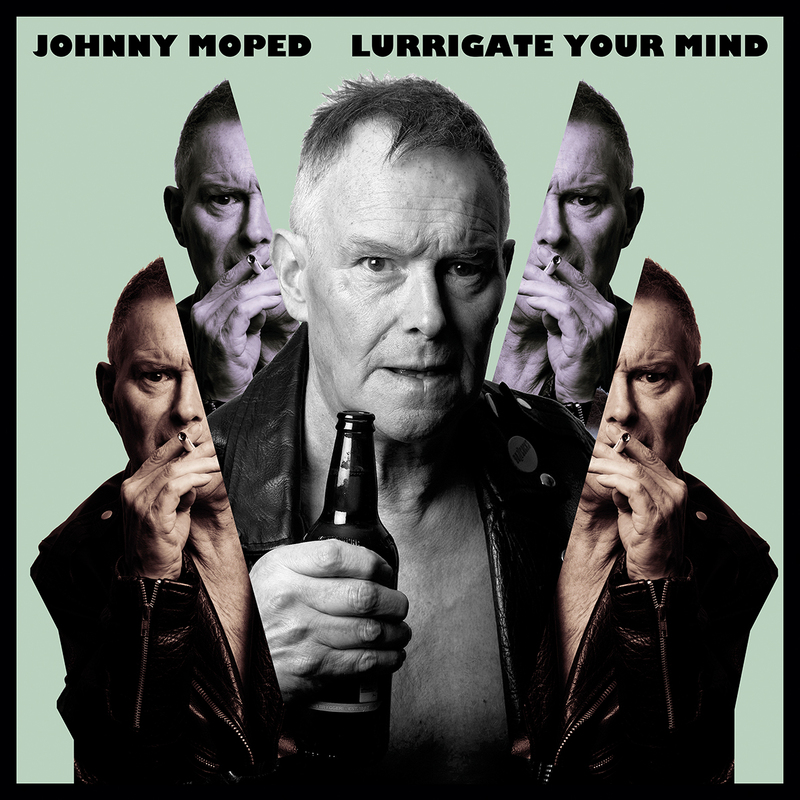 The newly settled line-up contributed the classic ‘Hard Lovin’ Man‘ to the Live At The Roxy LP and self-released their seminal Official Johnny Moped Bootleg before signing to Chiswick Records. 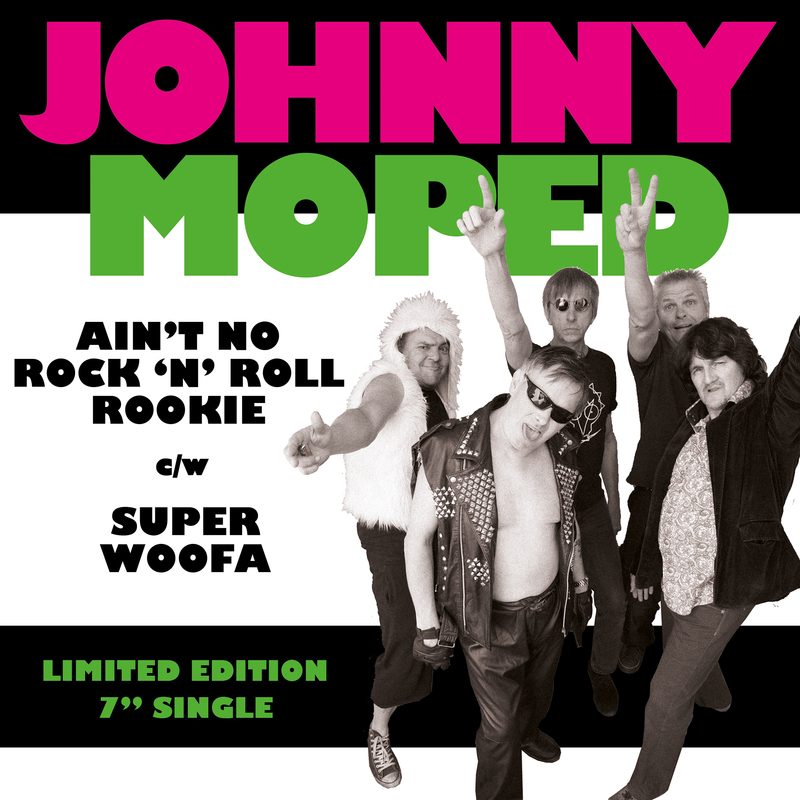 The debut Johnny Moped 45 was ‘No-One’ b/w ‘Incendiary Device’. The Mopeds were belatedly forced to switch sides due to a BBC objection to the “stick it in her lughole” refrain on ‘Incendiary Device’ – ‘No-One’ thus becoming the A-side. Their second 45 ‘Darling, Let’s Have Another Baby’ was released one week, awarded ‘SOTW’ status in all three weekly music papers the next, and promptly deleted the week after. Johnny Moped’s debut LP Cycledelic was eventually released in April 1978. It had been a bummer to record, Johnny practically under house arrest after the group’s van had run over Brenda’s mother. In order to get Johnny to the studio on time, the others met him from work, spun some tale of needing a group meeting and promptly drove him to the studio. The vocals were thus laid down in one day. A extra “Mystery Track” was added to the LP later on with Johnny cutting his vocals over the phone. 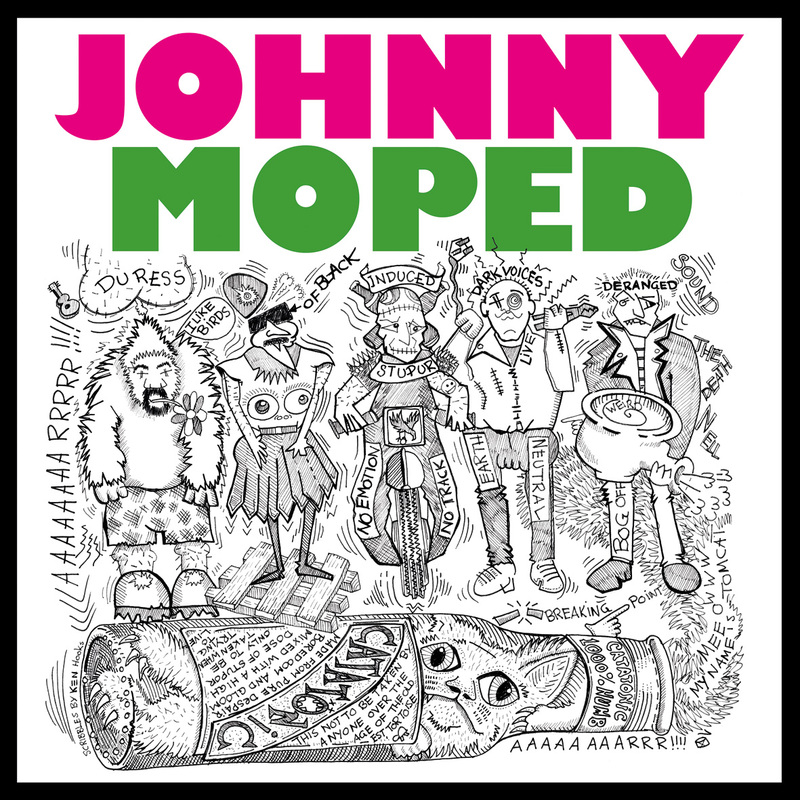 Johnny Moped gigs were infamous, with Slimy Toad’s ridiculous outfits and PA stack climbing. Plus you never knew what was going to come out of Johnny’s mouth (diatribes, abuse, surreal episodes). They often played with totally the wrong type of groups and got caught up in the Punk vs Metal wars. 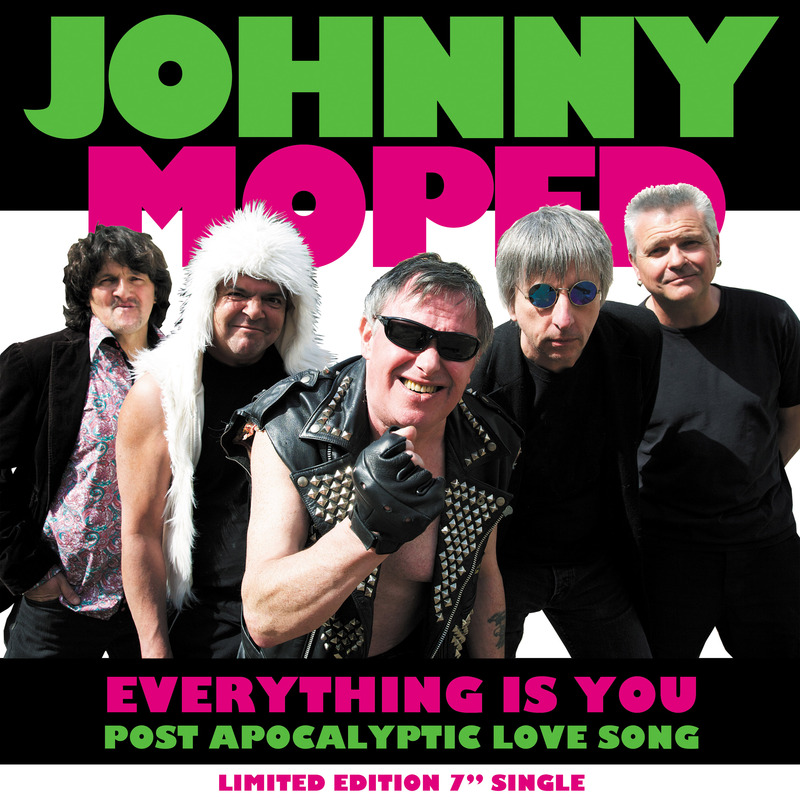 Johnny Moped collapsed in a heap towards the latter stages of 1978. A second LP was posthumously released in 1991 – The Search For Xerxes, featuring songs written in 1978. 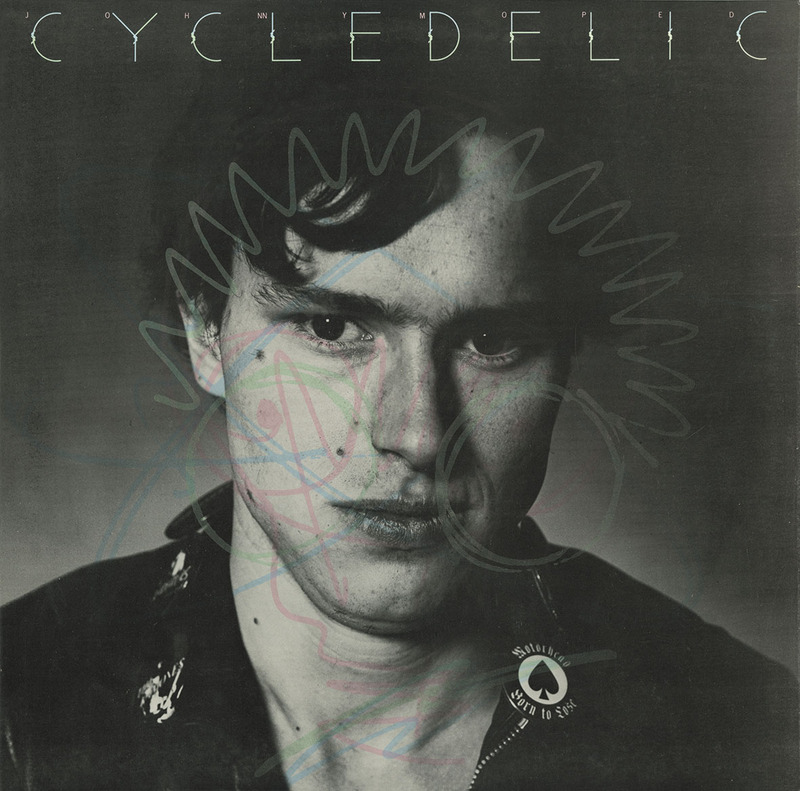 There were odd reunion gigs from time to time but it wasn’t until 2016 that the newly reformed band released their official follow up to Cycledelic. 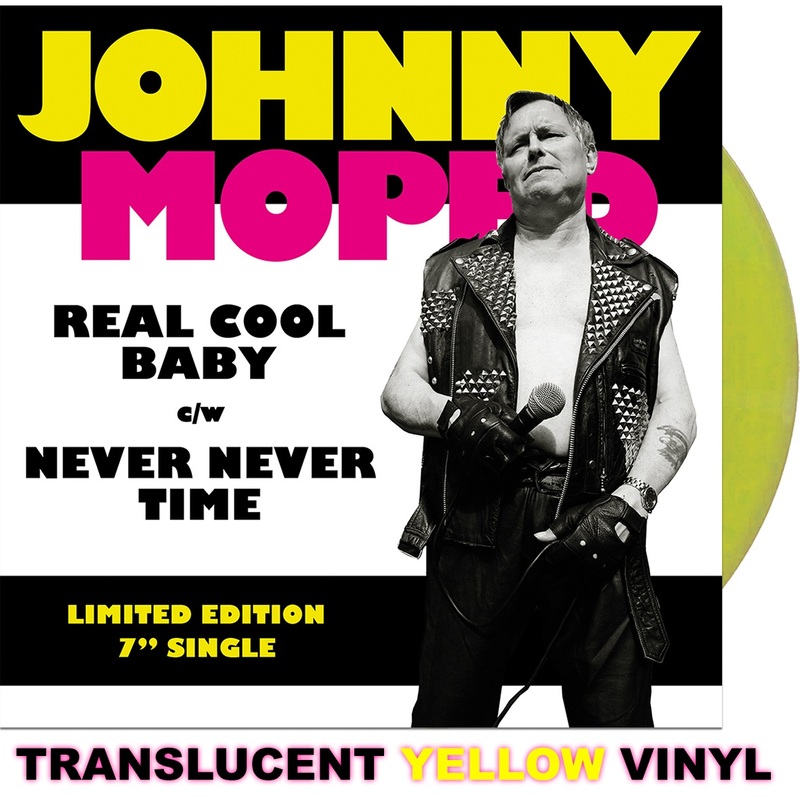 The well-received new LP was called It’s A Real Cool Baby and came out on Damaged Goods Records. Several singles followed along with gigs in the UK and Europe. In April 2019 the band will release a new 7″ single, ‘Living In a Dream World‘ on a choice of three different colours. The track is taken from their brand new studio album, Lurrigate Your Mind, which follows in May.